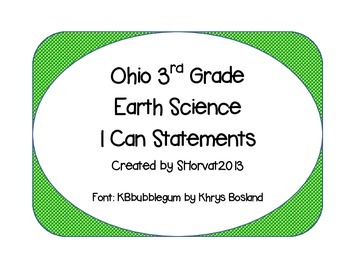 3rd Grade teachers in my district "unwrapped" the state standards last year. 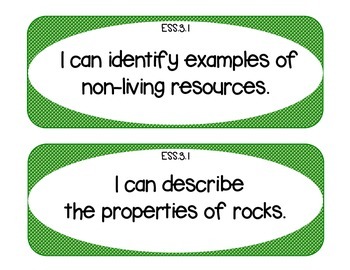 These are signs to post in the classroom that show the "I Can" statements we felt would support the Earth Science Content Standards. 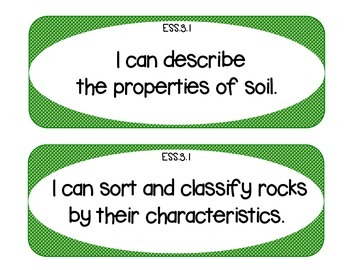 I also have the vocabulary cards for a science word wall.